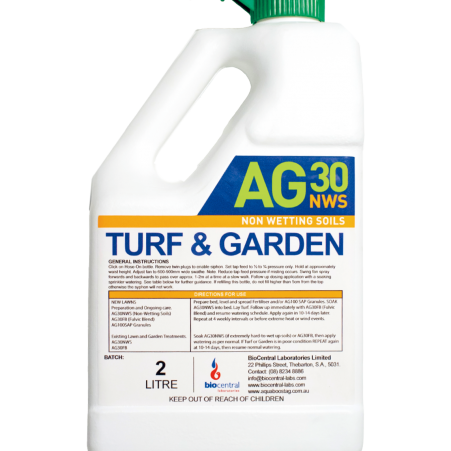 Specially formulated AG30 NWS improves infiltration, penetration & retention. What are non-wetting sands (NWS)? – NWS are generally soils that do not uniformly wet up. NWS may be hydrophobic (non-wetting), due to sodicity, plant-tree oils, waxy residue from crops such as pastures, legumes or due to very low clay content. 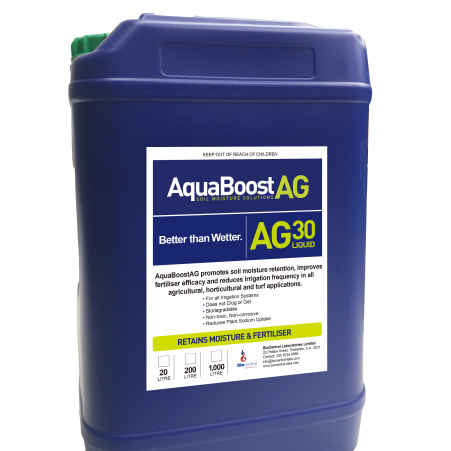 Will AG30 NWS assist with water penetration? 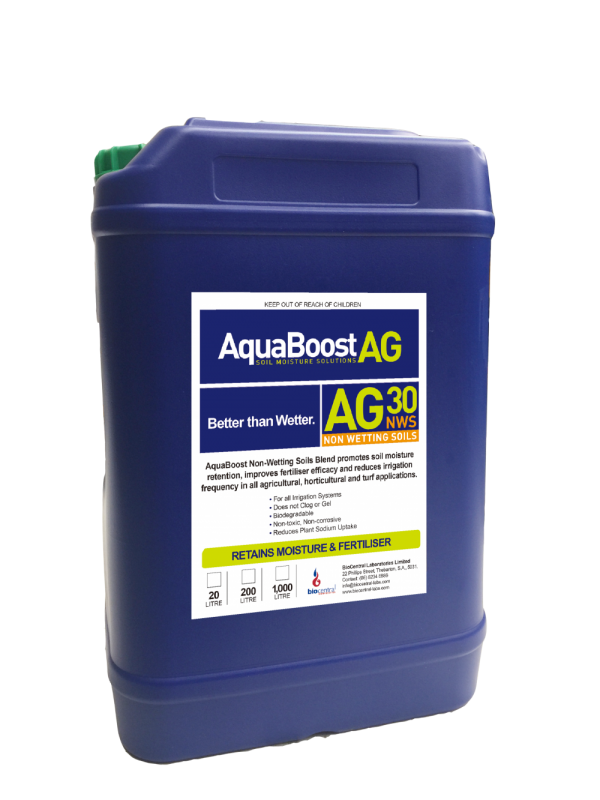 – Yes, AquaBoostAG30 NWS is a blend of linear polymers designed to reduce the surface tension of water and improve the wetting and penetration of water into the soil. 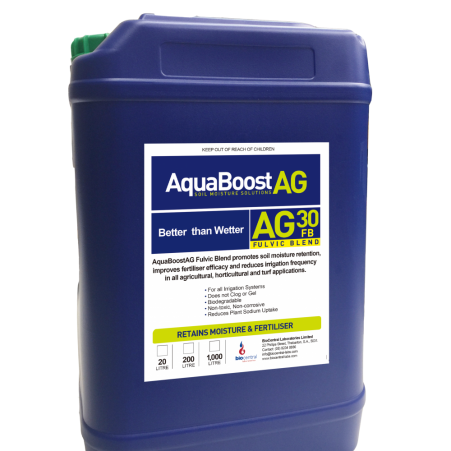 · Poor water infiltration leading to reduced moisture availability. · Reduced survival and productivity of crop plants. · Reduction in the availability of essential plant nutrients. · Creation of preferential flow pathways. · Increased overland flow and accelerated soil erosion. · Excessive power use to apply or pump water. · Excessive water use to get effective infiltration. · Reduced ability of water and oxygen to move through the soil. · Excessive pooling of water on the surface of the soil. · Creates lateral movement of moisture. · An ability to “harvest” water from either irrigation or rainfall. · Increases the uniformity of a crop. · Is specifically tailored to alter soil hydraulics in hard to wet soils.